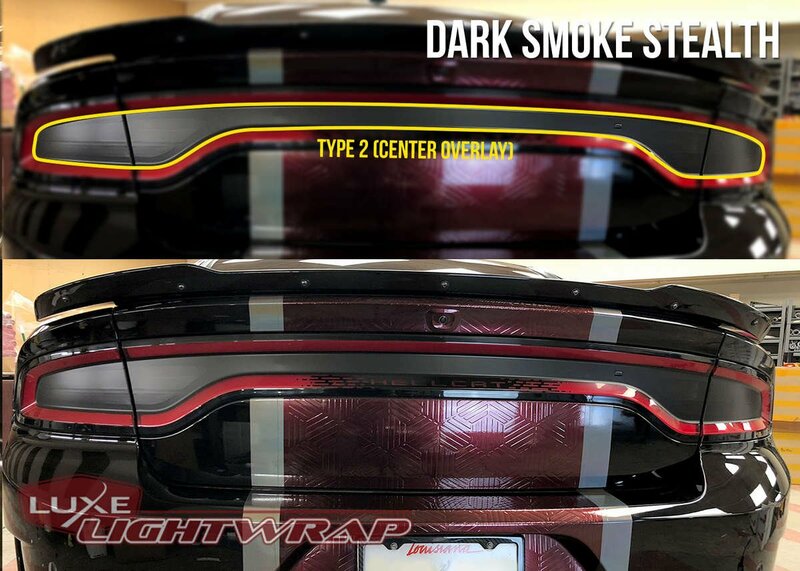 Our 2015+ Dodge Charger tail light tint comes in a variety of shades and finishes. Transform the look of your vehicle with finishes only available with Luxe Auto Concepts! LightWrap kits are dry application and repositionable allowing you to tint easier and faster than any other film on the market. Our pre-cut kits are designed in house to ensure the most precise fitment. This kit is an absolute breeze to install! It should take no longer than a few minutes. The only thing to take note of is to heat and tuck the vinyl between the trunk and fender securely. This is a pre-cut kit that changes the look of the light inside the red racetrack tail lamp. You can lay this over the Type 3 kit for a two-toned look. This is our full wrap kit for a total coverage. It is not pre-cut and includes a knife to trim the film. Can be a base layer for a Type 2 kit for a two-toned look. Fast shipping. Taillight overlays were an easy to install. 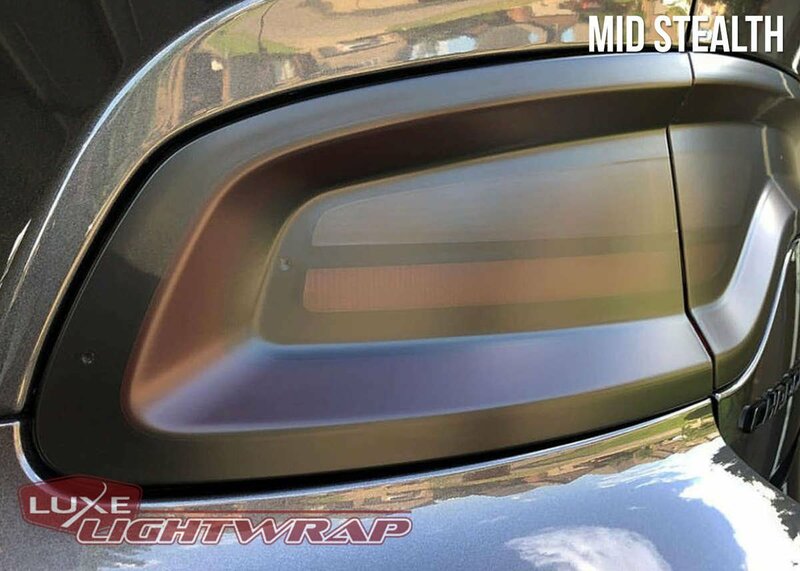 I ordered the mid shade tailight tint on Monday & the estimated delivery date was Friday. The delivery came in yesterday a day earlier than estimated & I put them on today. I used my own cleaner & a fresh towel to wipe any debris off the tailights. I removed the tint off its backing & placed them on my tailights. Finished up with my own heat gun for a few seconds & it’s as easy as that. My first product from luxe & not my last! Amazing product! I’m very happy with the product that’s on my scatpack now. Would do business again! Hello, I was sent the wrong taillight shade. I ordered smoky black but was sent a lighter shade.